Let's focus on the shapes of ND filters. A neutral density filter can either be circular or square in size. 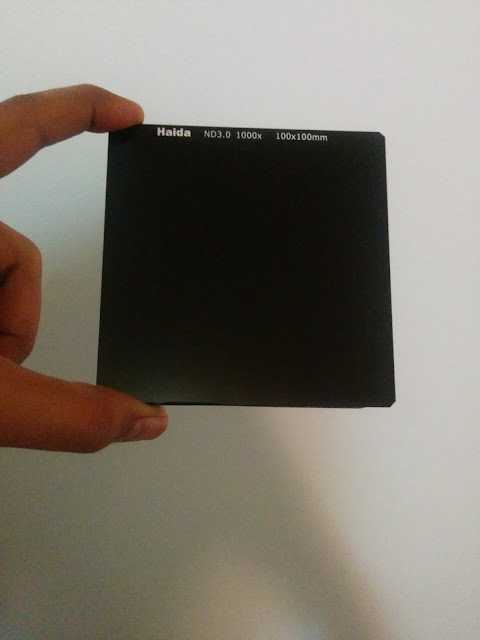 Some ND filters come in a rectangular shaped glass too. Circular ND filters are also known as screw on filters as they can directly be screwed onto the lens thread. Square shaped filters do not have any thread, and therefore need a filter holding unit that gets attached to the lens. The filter glass along with light leak gasket can be pushed into the slot offered by lens holding unit. The image below shows my ND 3.0 filter from Haida. ND 3.0 means it is a 10 stop neutral density filter. If you want to know more about ND filter naming, here is my previous post about the naming nomenclature of neutral density filters. Most of the square-shaped neutral density filters come with a rubber gasket attached to them on the backside. The purpose of the rubber gasket is to prevent any light leakage when doing long exposures. The image below shows a generic holding unit for square shaped filters. The metallic part on the top is spring based and gets locked onto the ring attached to the camera lens. This ring varies in diameter depending on the lens thread size. Example: 58 mm, 77 mm, etc. A 77 mm lens will need a different ring, but the same holder unit and ND filter can be used. So you see the advantage part now? No need to buy new filters again just because you upgraded to a new lens. All it needs is a threaded ring to hold the attachment for ND filter. - Easy to use and carry. Being smaller in size, circular ND filters are easy to carry around. - Fewer chances of breaking. 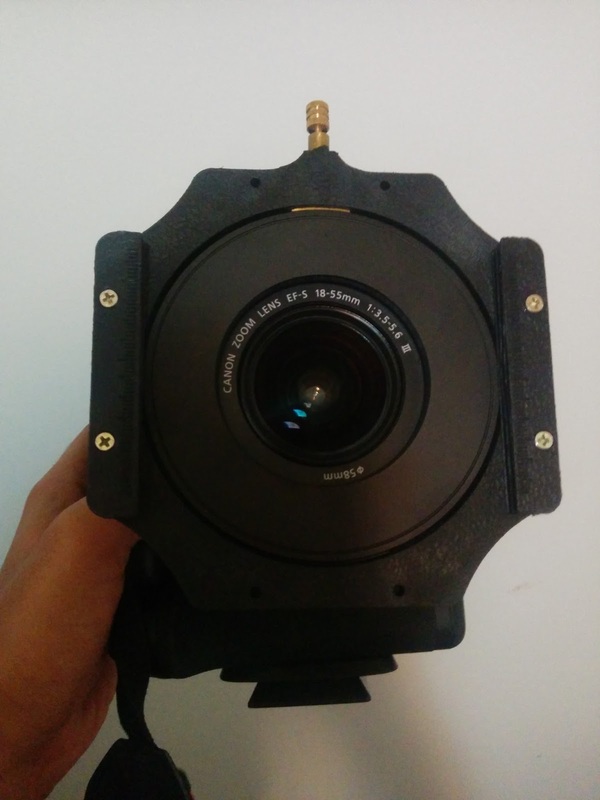 - A variable density circular ND filter darkness level can be changed by rotating the filter. This doesn't apply to fixed density ND filters where the darkness is same throughout the filter. - Cheaper longer term. It is easier to adapt to various lens sizes with a square-shaped filter. - Less interference and vignetting. Hope this post helped you to learn something new about filters. Based on the above discussion, which filter are you going to buy? Share in comments.